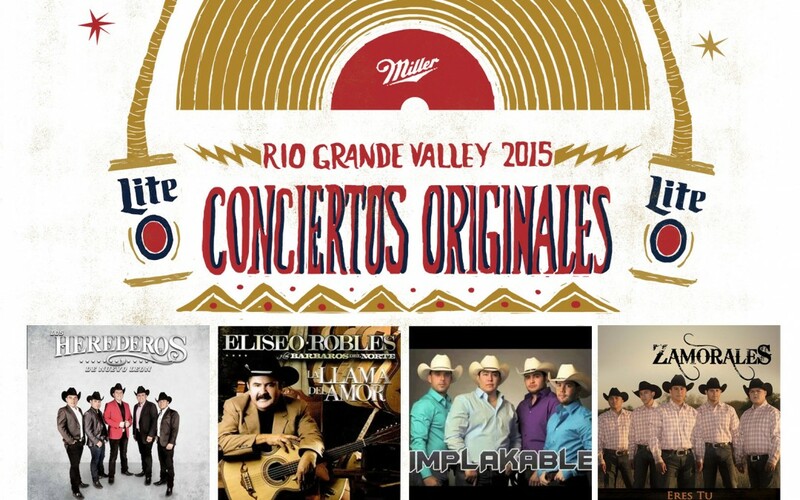 Miller Lite Conciertos Originales on July 12 2015 at the Boggus Ford Events Center featuring los Zamorales, Implakable, Herederos, and Eliseo Robles! Doors open at 6pm. 18 and over welcome!